Home » Community » Journalistically Inclined Ladies: Join Zerlina Maxwell for a WAMentoring Session @TheNation! Journalistically Inclined Ladies: Join Zerlina Maxwell for a WAMentoring Session @TheNation! Looking for advice on how to take the next step in your career? Struggling to find mentorship in the journalism world? 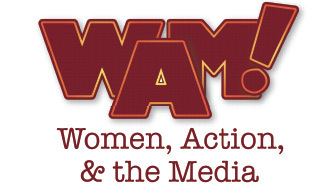 Join WAM (Women Action & the Media) for an informal conversation series with some of WAM’s most illustrious and awesome members. The latest WAMentor is Zerlina Maxwell! Zerlina is a political analyst and contributing writer for The New York Daily News, Feministing, theGrio, BET, and EBONY. Her writing has appeared in The Washington Post, JET Magazine, on CNN.com and other mainstream media outlets. Zerlina is also a weekly guest and fill in host for Make It Plain with Mark Thompson on Sirius XM Progress and democratic commentator on Fox News and MSNBC. Please note: there is now a suggested donation of $5 to support the event series (snacks & wine). The session of WAMentoring will take place at the offices of The Nation this month. Date: Wednesday, October 23, from 6:30pm until 8:00pm at 33 Irving Place, New York, NY. 8th Floor.